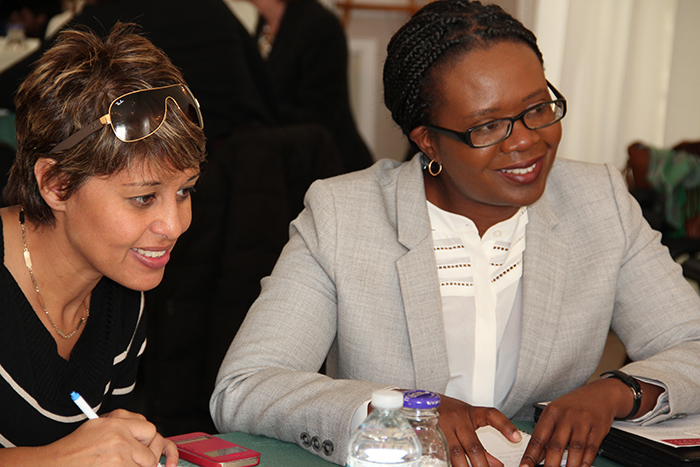 On October 23, 2014, in partnership with the State Department, Meridian welcomed members of an International Visitor Leadership Program (IVLP), on “Women in Political and Social Sectors” for a speed convening session with their U.S.-based peers. 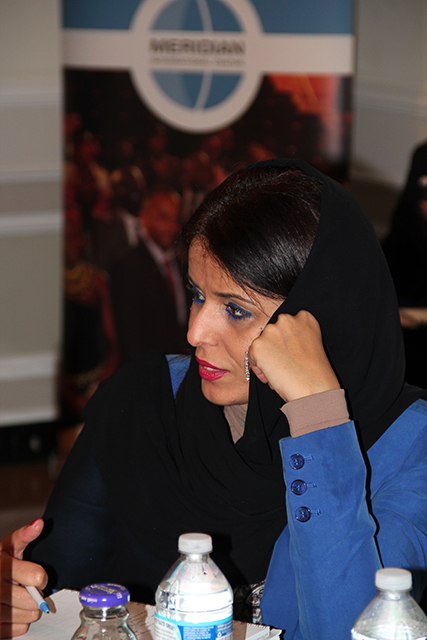 The multi-regional delegation of 17 leaders included members of foreign governments and NGOs working to include women in political and civil societies in their respective countries. 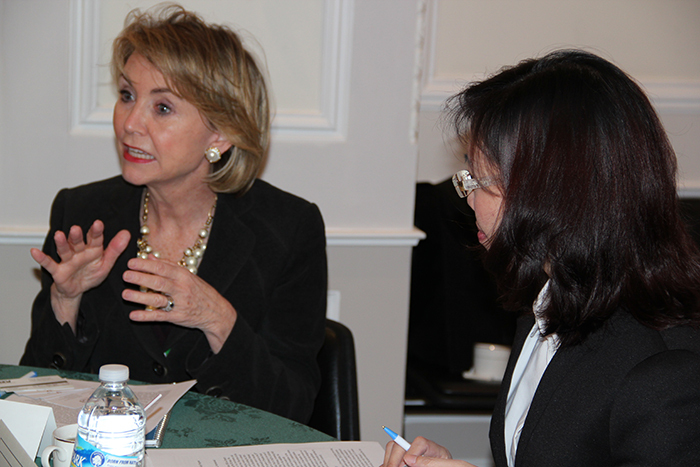 With a broader goal of examining private sector and local, state and federal government initiatives and programs that encourage women’s political participation and representation in public office, IVLP participants met in short, timed sessions with their U.S. counterparts who are working both domestically and internationally on these same issues. Speed convening participants included: Ann-Robin Anthony, Deputy Director, Women’s Democracy Network, International Republican Institute; Megan C. Beyer, Director, External Affairs, EDGE Strategy Group; Zoë Dean-Smith, Senior Director of Global Programs, Vital Voices; Laura Henderson, Director, Education Policy, Policy and Government Affairs, Women Thrive Worldwide; and Noel Schroeder, Manager, Education Policy, Policy and Government Affairs, Women Thrive Worldwide. 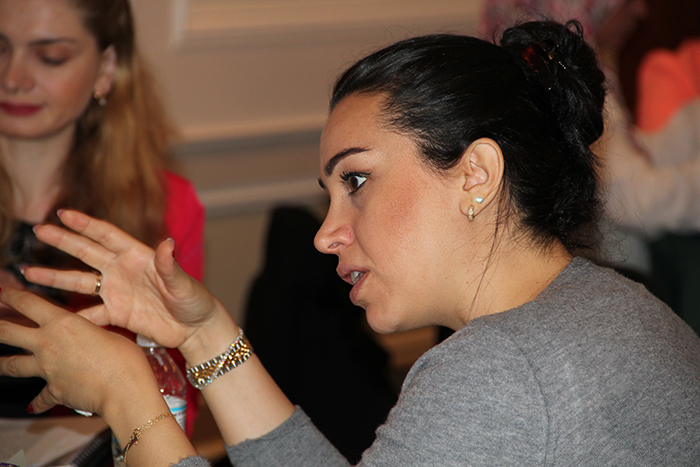 Through this speed convening session participants collaborated on challenges, “best practices,” and other shared issues involved with the focus on, and inclusion of, women and girls across sectors. 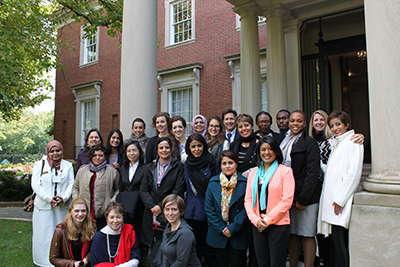 Following their visit to Washington, DC, the group heads to New York for a day-long session with women leaders in New Jersey on increasing women’s participation in the political process and meetings on international engagement in gender equality and empowerment of women. Program participants then divide into city splits — visiting Saint Louis, Missouri; Detroit, Michigan; and Cleveland, Ohio — before reconvening in Sacramento and San Francisco to focus on election day activities, as well as networking, mentoring and sponsorship among women. 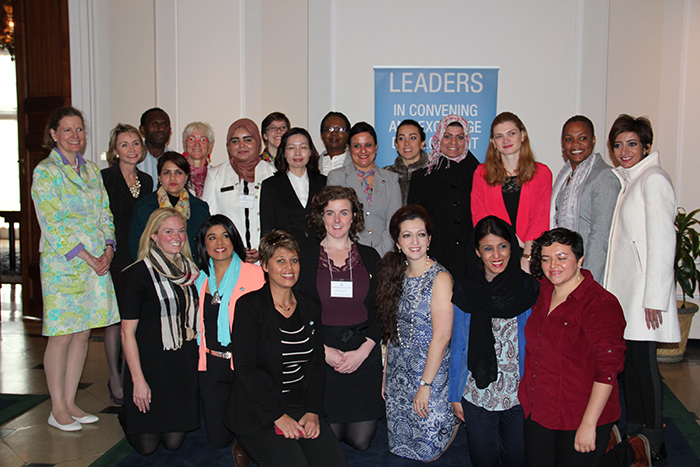 IVLP on Women in Political and Social Sectors convene with their U.S.-based peers. 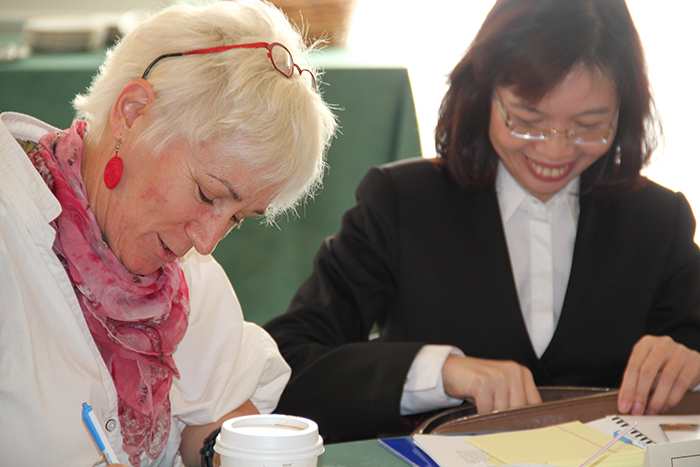 Ann-Robin Anthony with IRI’s Women’s Democracy Network speed convenes. 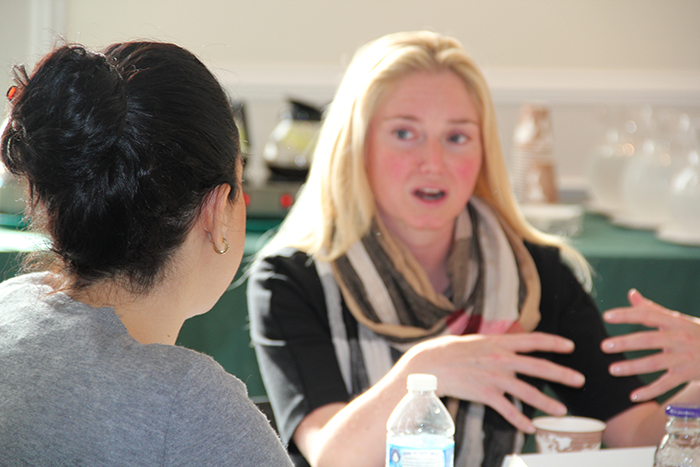 Noel Schroeder with Women Thrive Worldwide’s Policy and Government Affairs speed convenes. 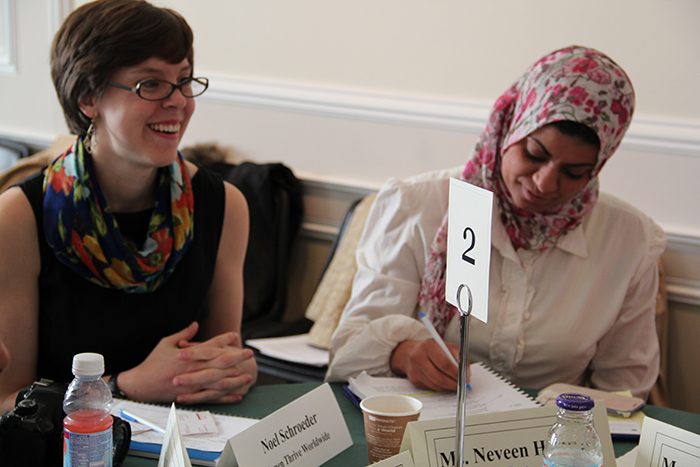 Megan Beyer with EDGE Strategy speed convenes with IVLP group. 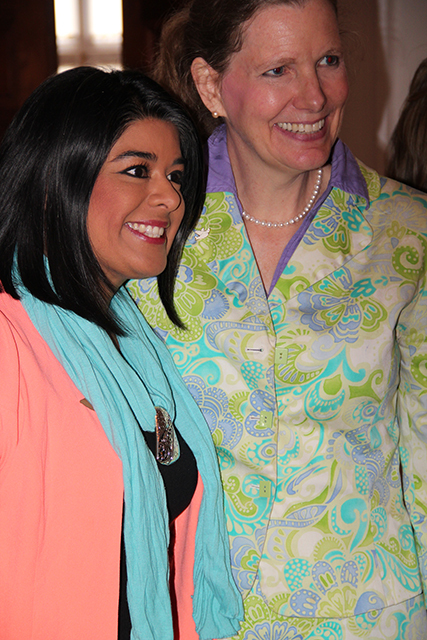 Women Thrive Worldwide’s Laura Henderson meet with Guatemalan visitor, Elsa Avalos Lepe.